BPW now makes it possible to determine the weight of the load using a new type of sensor that via a hub wirelessly transmits its data from the drawbar trailer axle directly to end devices and via an ISO bus interface also to the driver's cab. This allows drivers and transport companies to gain full transparency over mileage and transported quantities – and can also bill by weight. Transporting and delivering asphalt is a delicate business: the mix, which is at a temperature of around 180 degrees, is susceptible to wind; too much oxygen and temperature losses can ruin its quality while on the road. At the Bauma trade fair, BPW will present an intelligent sensor system for dumper trucks that replaces the current method of measuring temperature which is prone to errors. 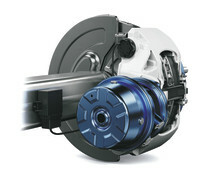 The next generation of Europe’s top-selling trailer disc brake is in the starting blocks – but it doesn't come alone: BPW is also supplying a completely redeveloped sensor which is the first to continuously measure brake lining wear and thus enable visits to the garage to be timed perfectly. 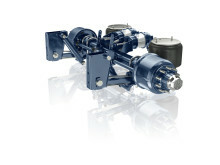 The system requires no maintenance and can be retrofitted for all BPW trailer disc brakes. With a platform for running gears that has been thoroughly redesigned, BPW now covers both on-road and off-road applications. This means that running gear can be configured for trailers that can be used just as easily and efficiently on the road as on the construction site. 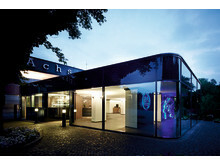 The highlight is a "digital DNA" that accompanies the vehicle throughout its life with intelligent services. BPW revolutionises the running gear for trailers with modular architecture and "digital DNA"
Improperly secured cargo is frequently the cause of wobbling and tipping lorries on the road – and accidents and cargo damage cost transport companies millions every year. In future, an innovative, intelligent cargo securing system from BPW will prevent this from happening. 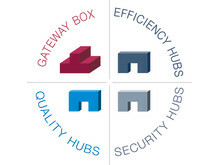 Yet the development methodology used is also a remarkable aspect of this innovation. 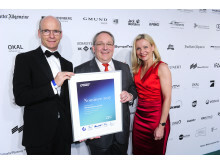 BPW can once again celebrate its win of an important innovation prize – twice over. 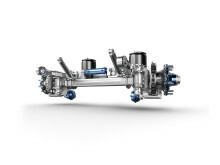 A jury of 16 international trade journalists and experts from the German Association of the Automotive Industry (VDA) selected two innovations from BPW for the ‘Trailer Innovation 2019’ award. 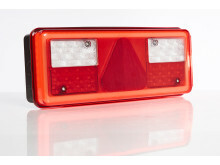 Both innovations combine a significant gain in safety with substantial cost savings for vehicle operators. 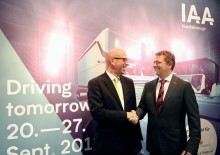 Schmitz Cargobull and the BPW Group announce a strategic cooperation in the field of telematics at the IAA Commercial Vehicles: In future, data can be exchanged between the "cargofleet3" telematics system of BPW subsidiary idem telematics and the new Schmitz Cargobull TrailerConnect® portal via a common interface. 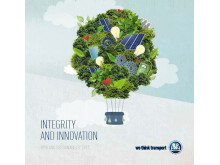 The BPW Innovation Lab is launching the innovative CargoTracer freight tracking system at the IAA with an attractive trial offer: shippers will be able to test BPW CargoTracer prototypes for three months at a special introductory price. But it is not only freight that can now be digitally networked. Screenshot: "Da, da, da ist die Fracht"
Transport damages caused by poorly-secured freight are routine in the transport business; serious accidents and damages to the load frequently occur due to rolling and tipping truck trailers. BPW is now tackling one of the main causes with intelligent cargo restraints: the iGurt checks and documents the tension of the lashing strap and promises massive savings. 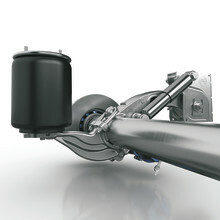 BPW, a leading supplier of axles and running gear technology for commercial vehicles worldwide, will be presenting a new platform for trailer running gears at the IAA: completely redesigned and digitalised, the configuration, construction and manufacturing of trailers has been considerably slimmed down and sped up. To do this, BPW uses newly developed laser techniques. 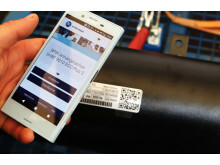 With upLink a smartphone or tablet is all that is needed to find out the spare parts data for the truck and even the trailer: the BPW Aftermarket Group is now offering commercial vehicle workshops a mobile web app that enables them to identify and order spare parts in seconds, without being restricted to a specific manufacturer. With upLink the BPW Aftermarket Group is making it a piece of cake to identify spare parts: the workshops simply scan the QR code on the vehicle, select the spare parts and they’re done. With a new type plate, BPW has now simplified the process for workshops and vehicle operators to identify and order spare parts: As of now they are provided with a QR code, which makes the associated product information directly accessible on a smartphone or tablet. Spare parts lists, service handbooks and service documents are now available in a matter of seconds.